Tuesday is about to be your new favorite day of the week! 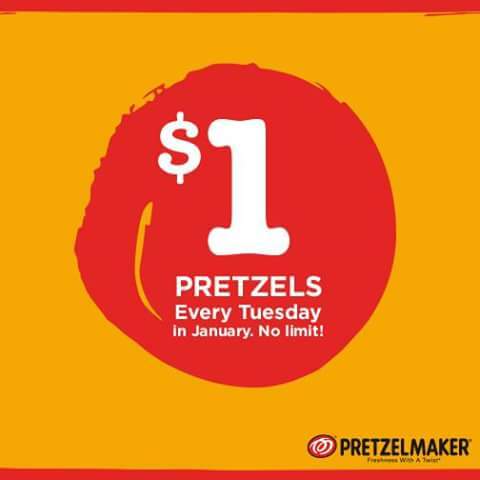 Starting 1/5, we’ll be treating our customers to $1 Pretzels every Tuesday in January! to thank you for your time simply for this wonderful read!! also have you bookmarked to look at new things on the website. pleasant, all can without difficulty be familiar with it, Thanks a good deal. its ok to utilize some of your concepts! !